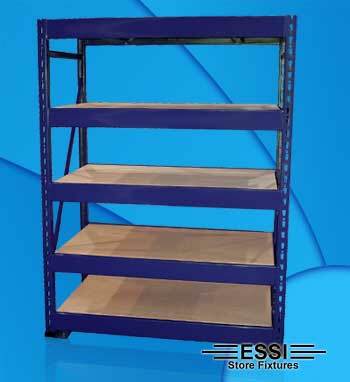 We have several types of what would be considered Commercial Grade Shelving available listed below. We have many accessories available for Commercial Shelving for most any merchandise, items or equipment that needs to be displayed or stored. 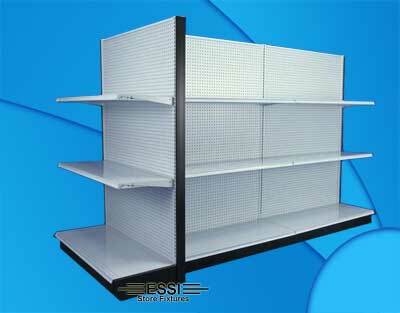 For all typs of retail stores the Gondola Shelving has been a proven winner over the years. The advaintage to Gondolas or Store Shelving is it is so versatile it will display almost any type og merchandise ot items as we have many types of accessories for most any product. 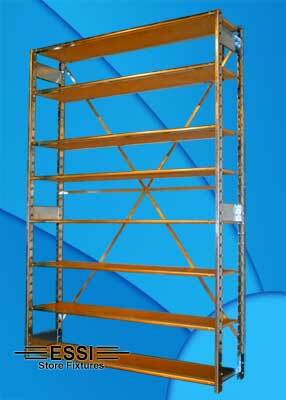 Considered to be a rack for a larger scale operation with the need to store larger heavy items the Pallet Racking is a wise choice. What is unique about Pallet Racking is it can be loaded with a Fork Lift. 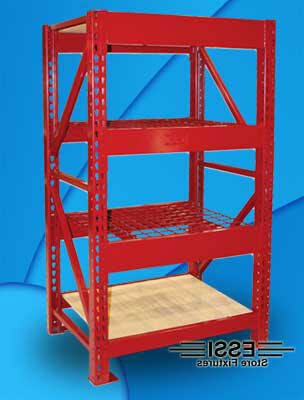 What is known as the Madix Wide Span Racking is considered to be a lighter duty racking system just like Pallet Rack. The Wide Span is commonly used in the retail industry for the display of heavy bagged items such as dog food, cement and items of that nature. For use in the backroom or a storeroom of most any retail establishment the Storeroom shelves are used to mostly store merchandise and any equipment a typical retail store would have use for.